There are several electrical components in your vehicle. If you ever experience power failure after you attempt to start your vehicle, then it will either be due to one of two reasons. Either something is wrong with your battery or your alternator. Remember that an alternator is an electrical component responsible for charging the car battery. The alternator basically converts mechanical energy into electrical energy, which then charges the battery and all the other car’s electrical components. Without a functional car alternator, you would not be able to charge your car battery or keep your car’s electrical systems powered up. The first time this happens, your car may stay functional for a few minutes at the most. Then, it will shut off because there is insufficient power available to sustain its operation. People naturally think their battery is bad when this happens. Although the symptoms of a malfunctioning alternator and bad battery are similar, there are some differences to watch out for. To better understand these differences, you must educate yourself on what causes an alternator to fail at charging the battery. Don’t always assume you have a bad alternator. There are lots of other components in the vehicle which have an influence over the alternator. They could possibly cause it to fail at its job too. Below are the top 5 causes of a car alternator not charging. 1) Computer Error – The central computer of your vehicle, also known as the engine control unit, is in regular communication with your alternator. If your engine control unit were to malfunction or become glitchy for some reason, it could negatively influence the functionality of your alternator. For instance, it will prevent your alternator from being able to charge. Once that happens, it won’t be able to charge the battery or any of the other electrical components. 2) Wiring Issues – There are several wires connected to the alternator. These wires are important for the receiving and transmitting of energy. If these wires are worn out or damaged in some way, then the alternator may not be able to charge anything. This problem will need to be investigated closely because it is easy to mistake this issue for a bad battery or alternator. Your mechanic will figure it out, though. 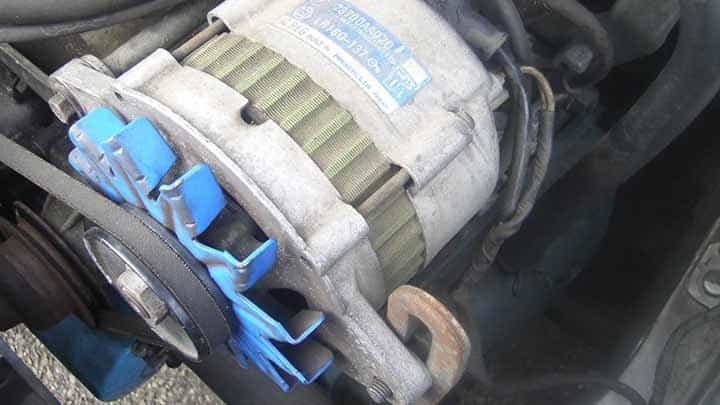 3) Bad Pulley or Belt – A belt and pulley are connected to the alternator. This is how it converts mechanical energy into electrical energy. But if the belt and pulley were to be cracked or worn out, they will break or snap completely. Then it will be impossible for the alternator to generate an electrical energy or charge for the battery and system. 4) Worn Out Fuse – Sometimes a fuse is used to charge the alternator and keep it running smoothly. But if you experience a power surge in the vehicle, it could cause the fuse to fail from a blowout. Then your alternator won’t charge anymore. However, not all vehicles use fuses to charge the alternator. Check to see if the fuse is worn out. 5) Bad Alternator – If none of the other causes are present, then you probably do have a bad or dead alternator. This is nothing to panic about because alternators don’t last forever. If you were to install a new alternator in your vehicle, it will give you an average of 5 to 7 years of functionality before it needs to be replaced. Please note that hot temperatures won’t affect the longevity of your alternator like they do your battery. Sometimes a battery will only last 2 years if it’s exposed to a lot of heat. Keep that in mind to determine whether your power failures are due to the battery or alternator.